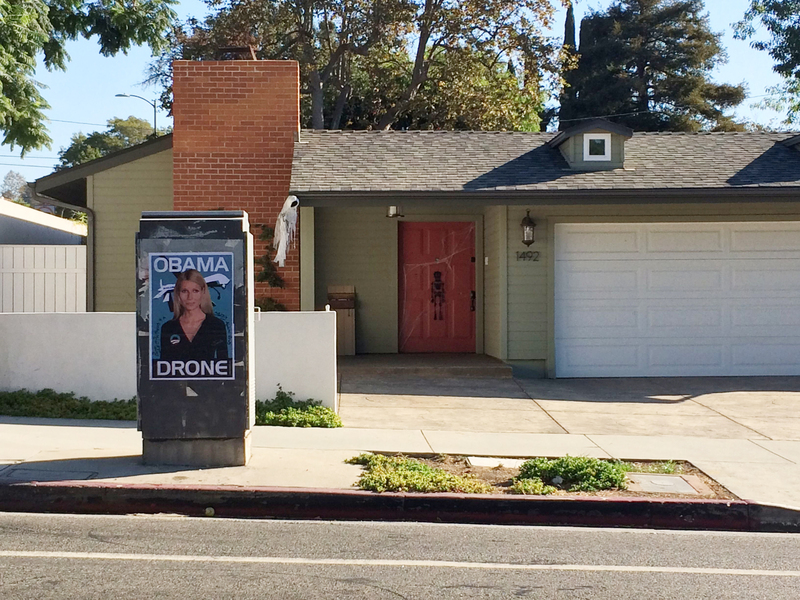 It’s no secret that President Obama loves to use drones to do his dirty work. 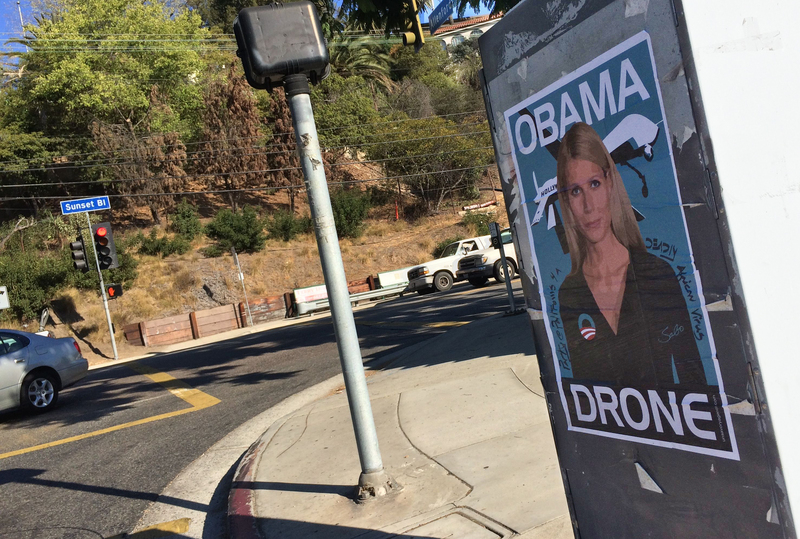 He has utilized them on countless occasions to take out terrorist forces and other dangerous insurgents operating on foreign soil. 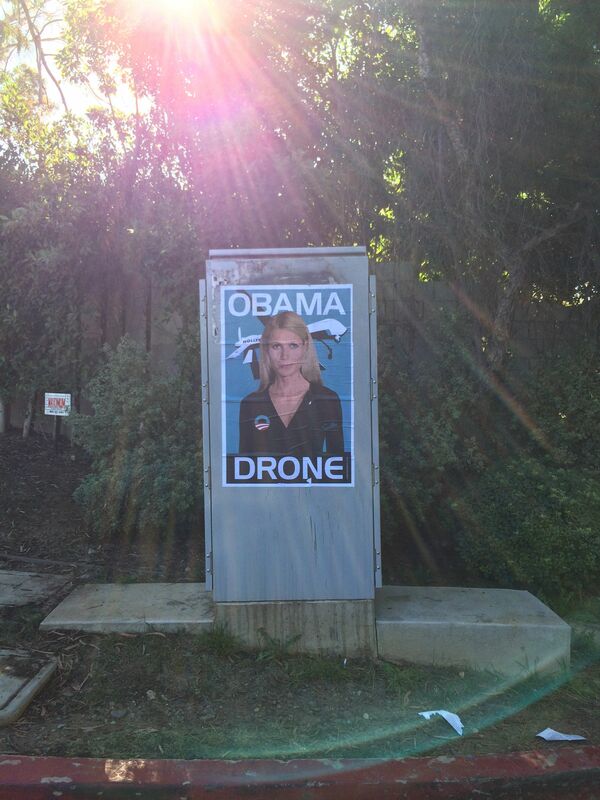 Domestically, however, Obama employs drones of a different sort: human drones. 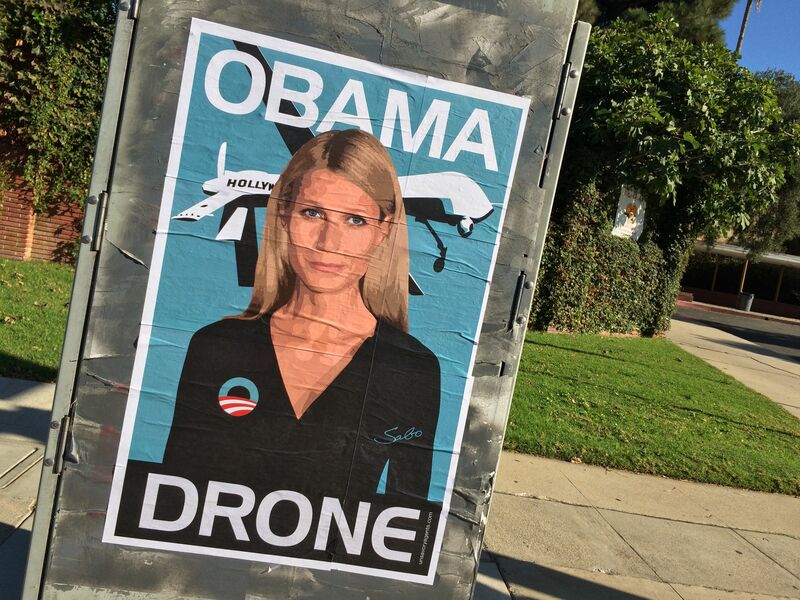 You know, the kind that you see on TV mindlessly plugging Obama’s failed policies in blind obedience to the President? 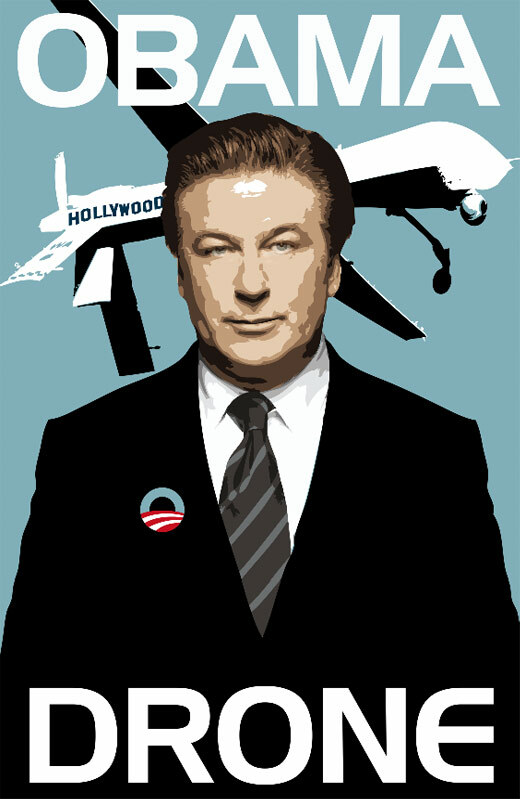 They’re the usual suspects – George Clooney, Alec Baldwin, Samuel L. Jackson, Chris Rock – Hollywood elites who are nothing more than Obama sock puppets, ready to repeat a White House talking point or prop up a DNC position. 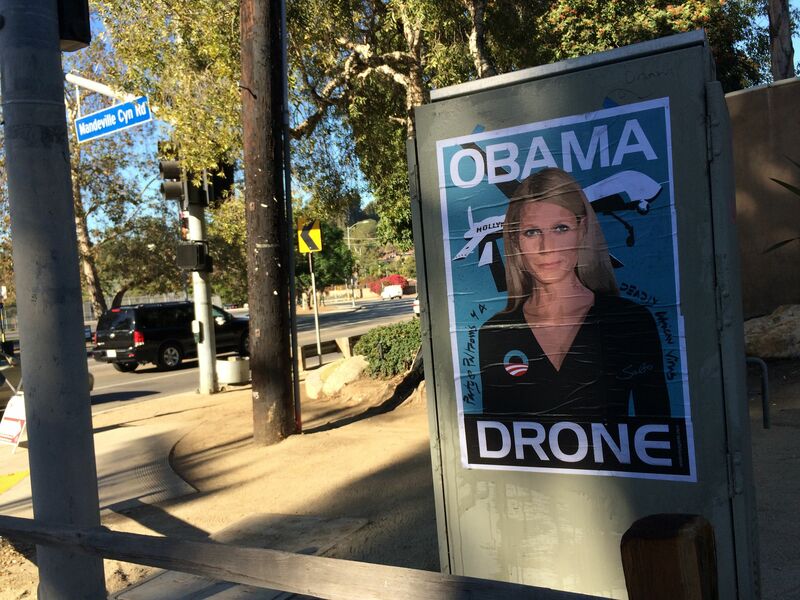 Well, it looks like the President has a new “Obama drone” to deploy this campaign season: Gwyneth Paltrow. 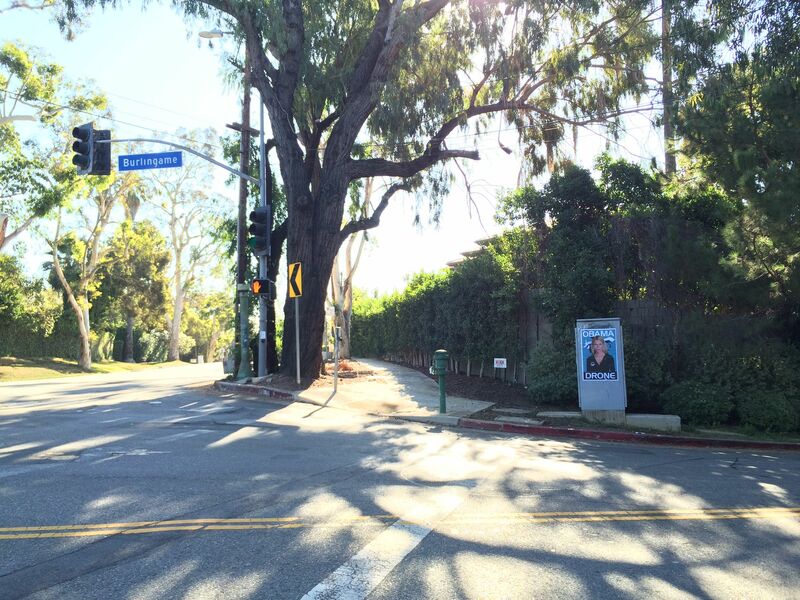 On October 9th, the Iron Man actress will host a Democratic National Committee fundraiser at her Brentwood home, an event to be attended by President Obama himself. 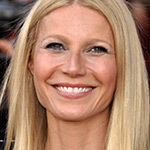 Tickets to the star-studded gala range from $1,000 to over $32,000, which is not at all hypocritical for the party of the poor. 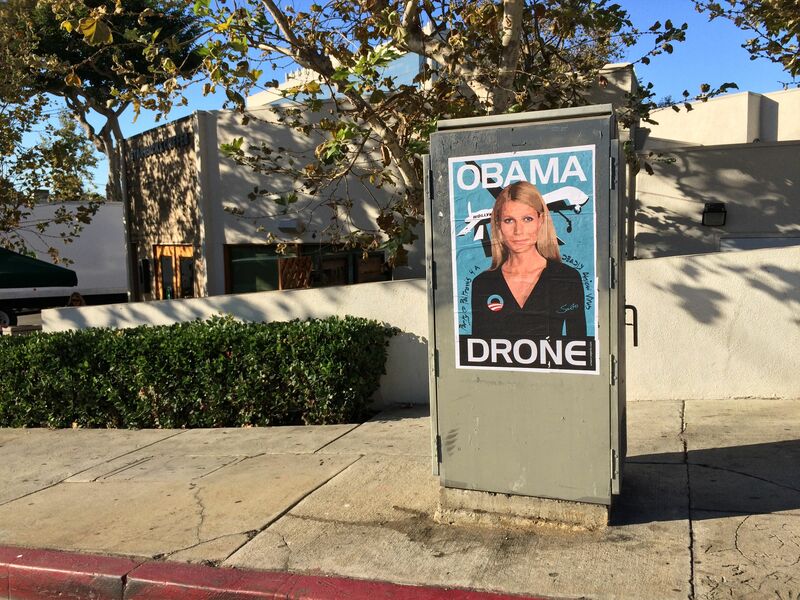 One person who has repeatedly called out these “Obama drones” is conservative L.A. artist Sabo, who creates provocative street posters satirizing the left and plasters them on lamp posts and signal boxes in the Los Angeles area. 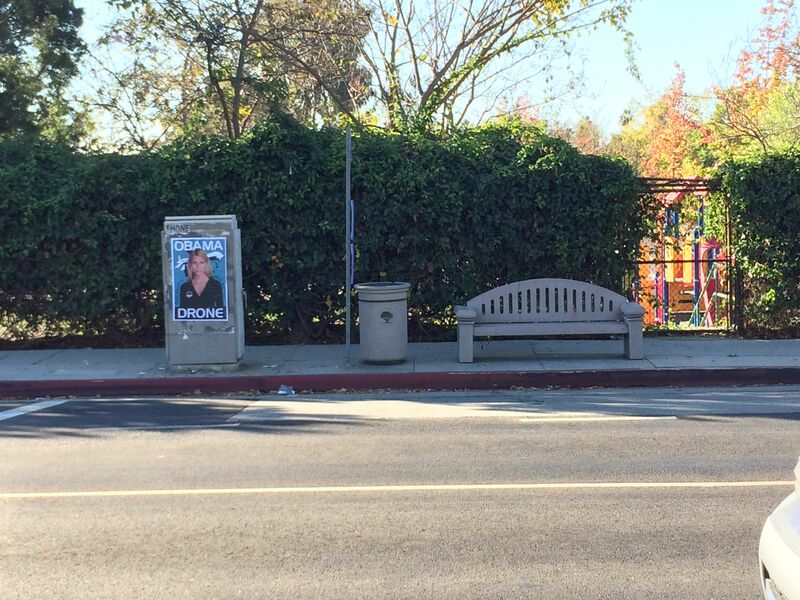 Sabo’s past work includes the Wendy Davis Abortion Barbie posters, the Breitbart California posters, and the Tattooed Ted Cruz posters, all of which garnered national media attention. 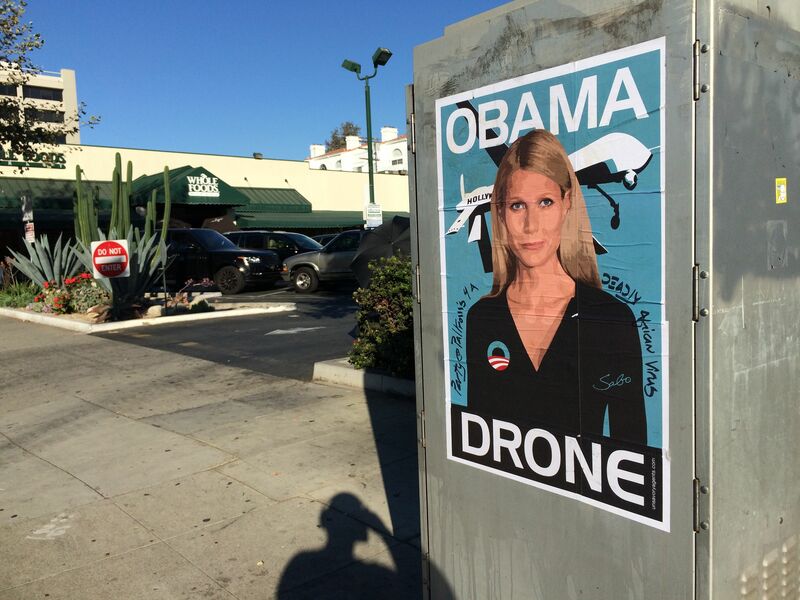 You can see all of Sabo’s creations at his website: unsavoryagents.com. 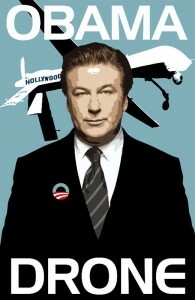 Sabo has previously done “Obama Drone” posters spotlighting such Obama automatons as Alec Baldwin, Jimmy Fallon, Jim Carrey, Bill Maher, David Letterman, as well as the four Obama sheep listed above. 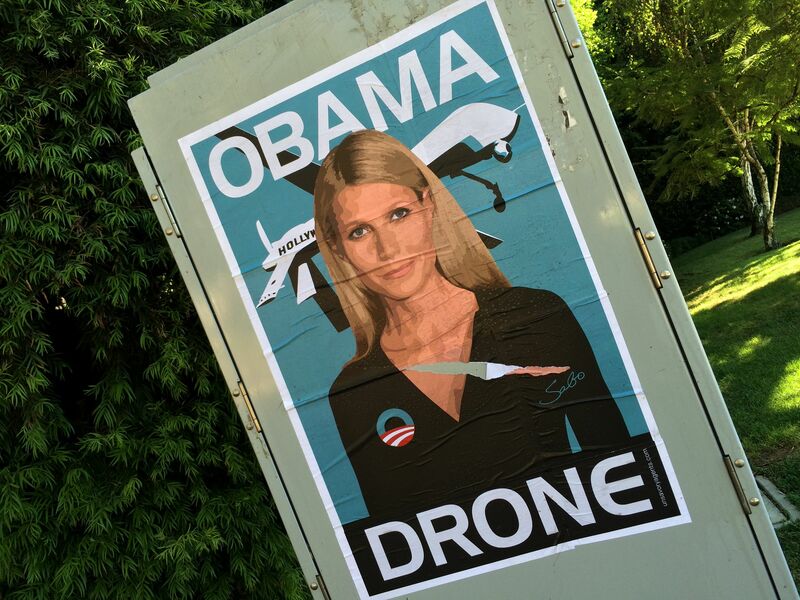 We can now add one more “Obama Drone” to that list. 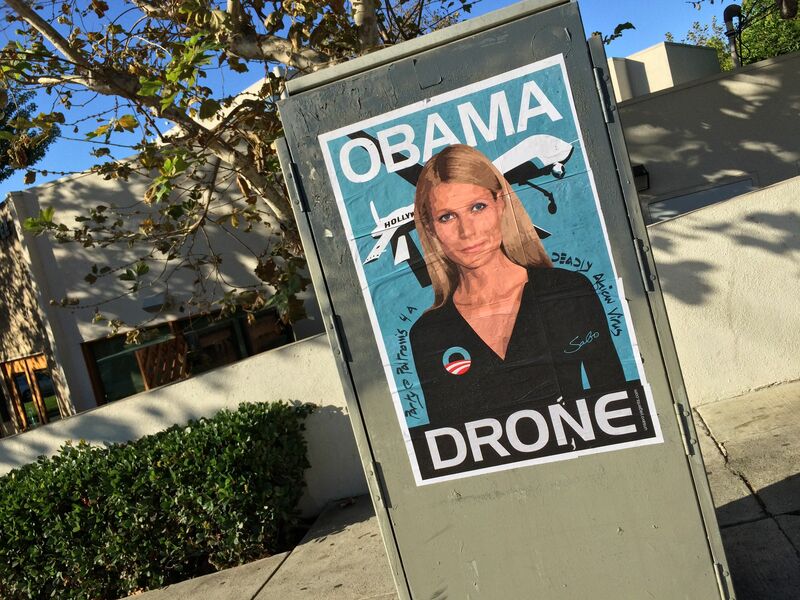 Yesterday, Sabo officially released his “Gwyneth Paltrow Obama Drone” poster and plastered multiple copies in the actress’s neighborhood just days before the Obama fundraiser is to be held at her estate. 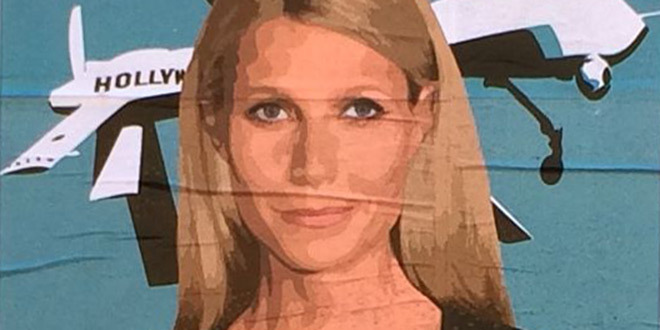 Radar Online wrongly reported that her neighbors were the ones who hung up the posters critical of her. 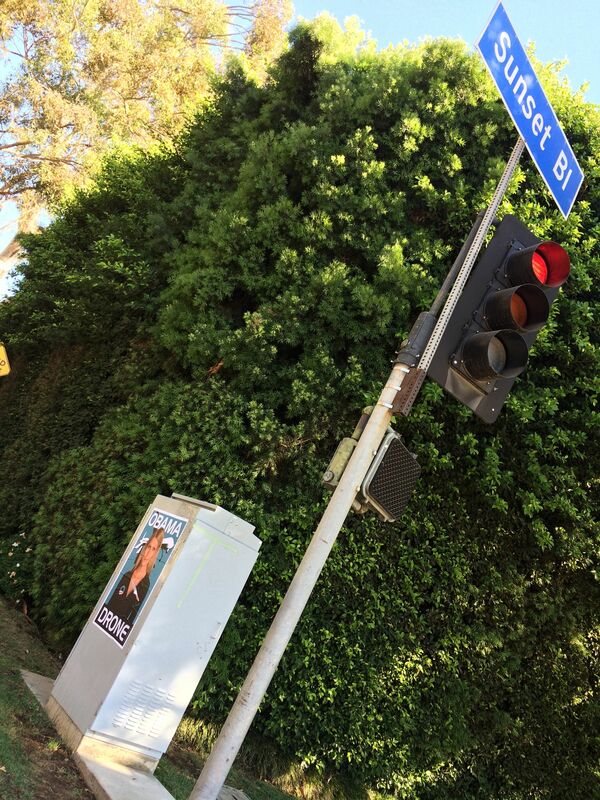 I know I’m late in seeing this and responding… I just found you and I’m lovin’ it!